Criminy follows Daggum Criminy as his peaceful life is suddenly interrupted when pirates invade his island. This invasion casts Criminy’s family out as refugees into the wild unknown in search of a new home. 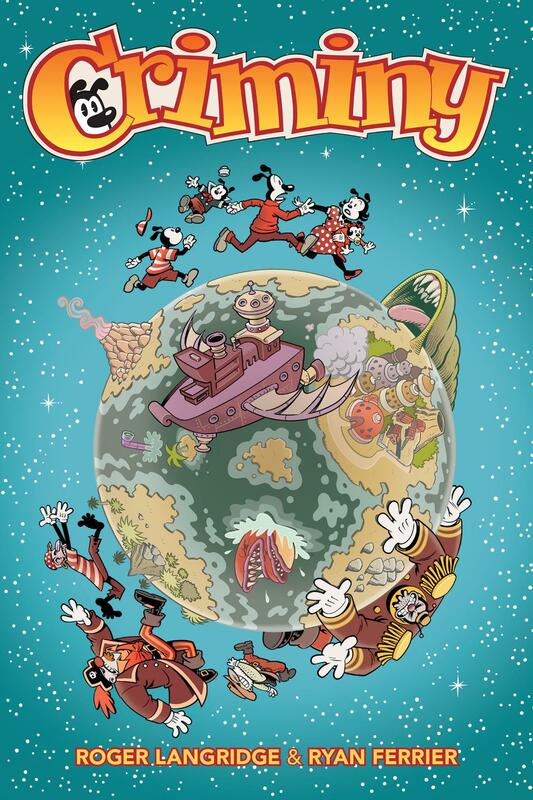 Soon, the Criminys find themselves hopping from one strange locale to another, each with their own bizarre environment, people, and challenges; putting Daggum and fam in constant peril as they search for a new peaceful place to call home. Watch for the 96-page graphic novel this fall.